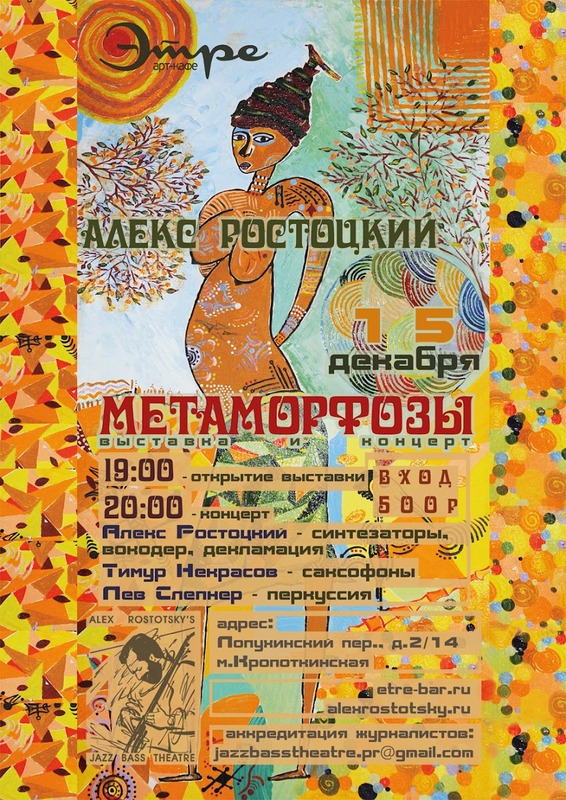 The founder of the "Jazz at Hermitage garden" festival about jazz Tchaikovsky and the crisis of music lovers. 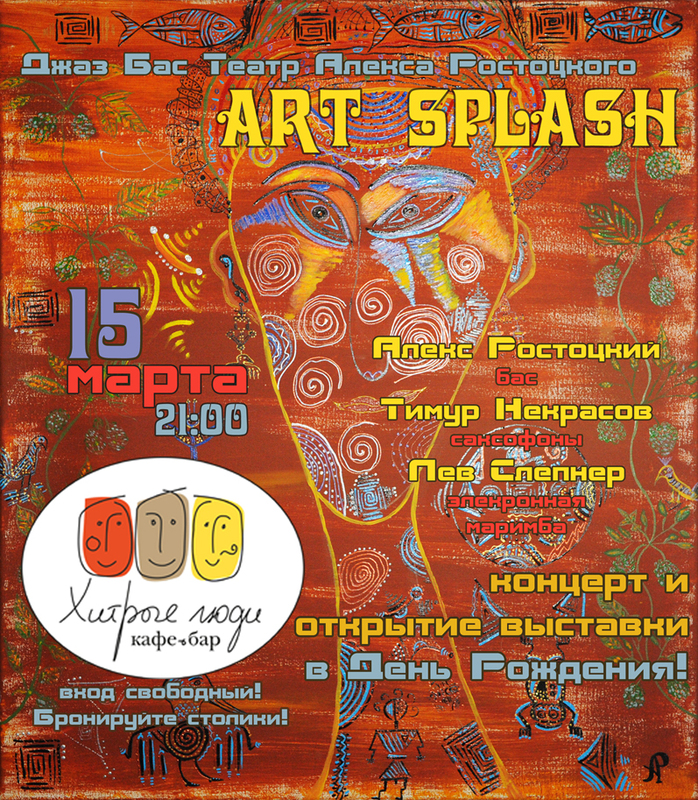 — Alex Rostotsky's interview to "Izvestia"
"Art Splash" concert and exhibition on Alex Rostotsky's birthday. Timur Nekrasov - saxophones, Lev Slepner - electronic marimba, Alex Rostotsky - e-bass. 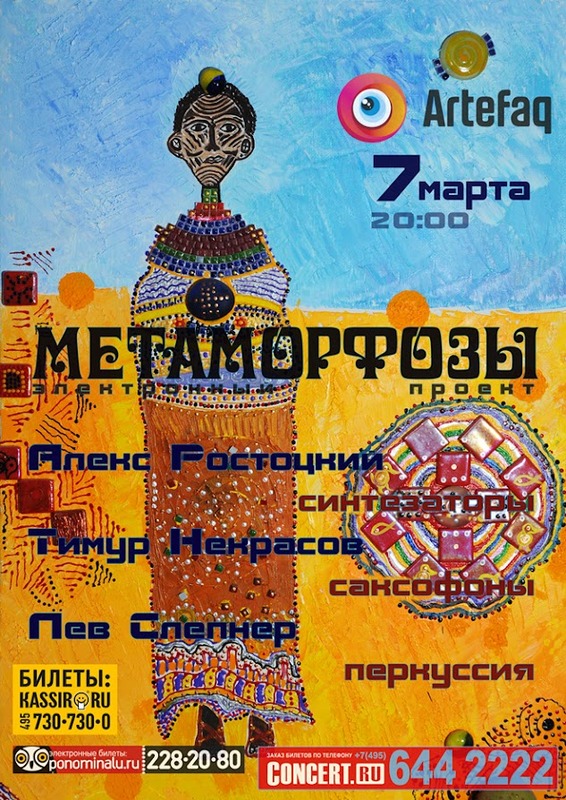 March 7th, 20:00 - "Metamorphosis" project - Artefaq club. Alex Rostotsky - keyboards, Timur Nekrasov - saxophones, Lev Slepner - percussion. Tickets - 400/500 rubles. Available at: ponominalu.ru, kassir.ru, concert.ru and at the Artefaq club. 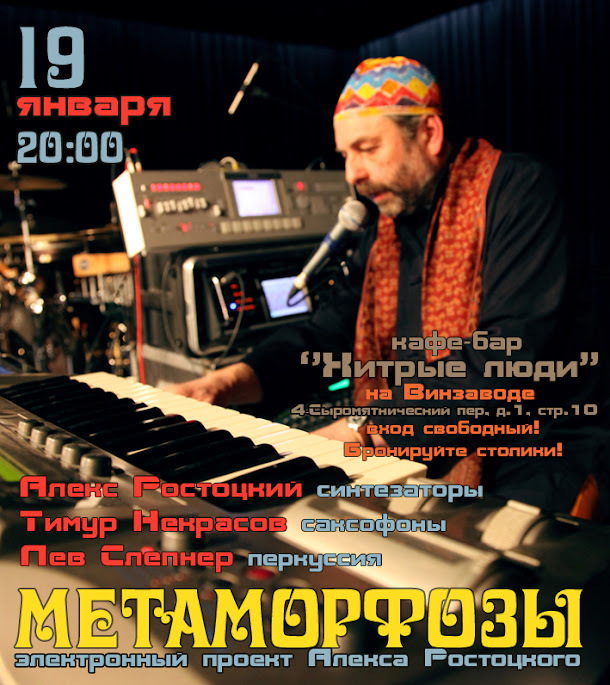 19 January - "Metamorphosis" concert at "Hitrye ludi"
19 January, 20:00 at "Hitrye Ludi" cafe-bar - electronic project "Metamorphosis". Alex Rostotsky - keyboards. vocoder, vocals, Timur Nerkasov - saxophones, Lev Slepner - percussion. art-cafe "Etre", Moscow - entrance 500r. Subscribe to our pages on Facebook, Twitter and Vkontakte!